This page is designed to give the minimal (but important) details needed to program your 'Tyt MD-380 UHF' or 'Anytone D868UV' for use in South-West Ontario. This is not a guide on how to use Windows or how to use the radio itself. If you skipped Step #5, go back and do it now! The radio is now ready for use - Enjoy! DMR radios transmit their ID with every transmission. The ID is not a callsign. The ID is a 7-digit number that is assigned to you for use in your radio. Every radio must have an unique ID. If 2 radios start using the same ID at the same time, the network will get confused and the radio will probably not work correctly. In South-West Ontario, most (if not all) of our DMR repeaters are UHF. The MD380 radio is a mono bander. Two versions exists, VHF and UHF. Make sure you purchased the UHF version of the radio. The radio can be found on [ ebay ] as well as most China Import shops. Many of us have ordered the radio from [ 409shop.com ] for about $200 (shipping included). I would not recommend attempting to program a DMR radio without a computer. The cable adds about $10 to the cost of the radio and most vendors include it as part of the deal. Make sure you order a cable with your radio! NOTE: Although the TYT cable looks like the same cable used in Baofeng radios, it is NOT compatible. The connector is the same but the internal wiring of the cable is completely different. NOTE: When I ordered an Anytone AT-D868UV from Bridgecom Systems, they included a programming cable. CPS = Customer Programming Software. The CPS has been designed to work specifically with the MD380. 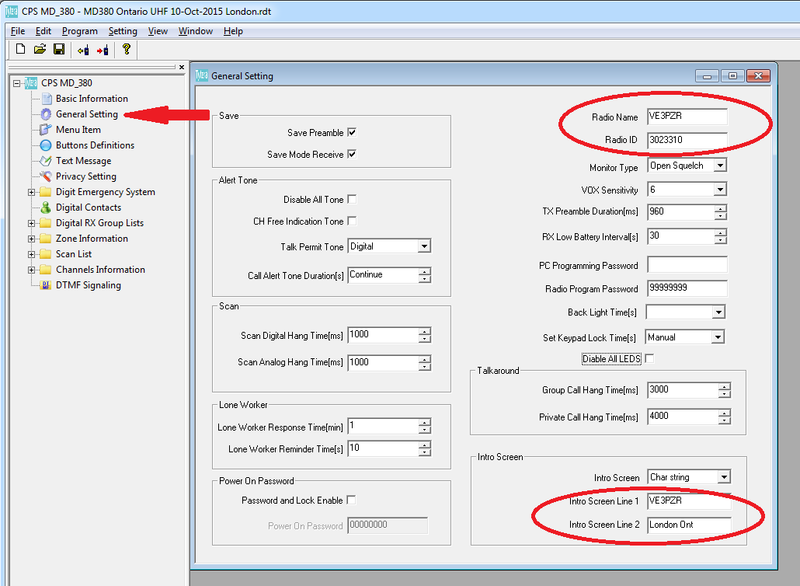 You cannot use the CPS designed for other models of radios. "Codeplug" is Motorola's fancy way of saying "settings for your radio". The Codeplug contains the required information to use the radio in your area. It contains the list of repeaters and their unique parameters to use those repeaters. 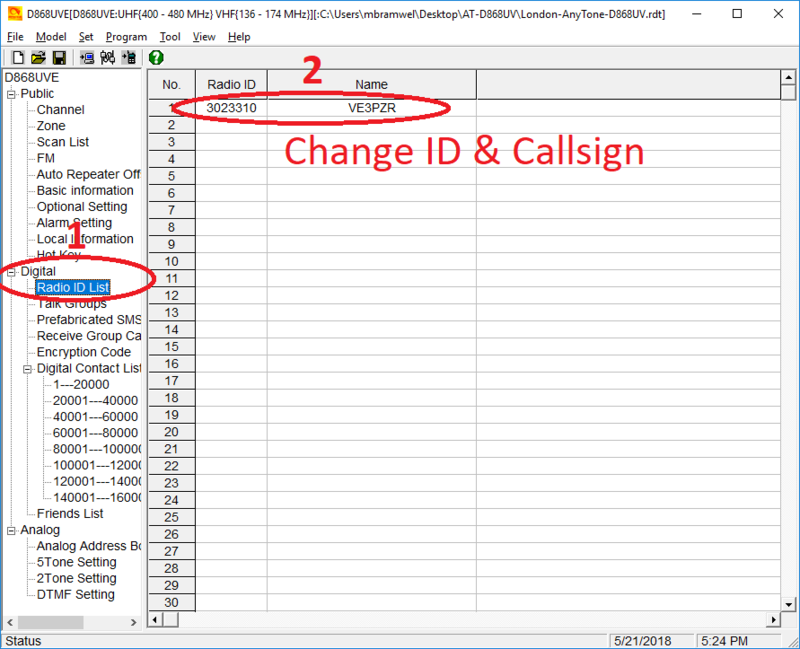 TIP: If you put ID+callsign into your radio's contact list, their callsign will be displayed on your radio screen when they transmit (otherwise you see their 7 digit DMR ID). The codeplug found on this website has all known Canadian IDs pre-loaded into the contact list. As of 2015-Nov-18, all 725 Canadian IDs are present in the codeplug. The software is available for Microsoft Windows. I am not aware of a Mac OSX or Linux version of the software. The software uses very little of your computer's resources. Any recent desktop or laptop/netbook should be sufficient to program the radio. WHAT About dPMR or NXDN? Can we use them on DMR repeaters? dPMR is mostly used on the other side of the planet. 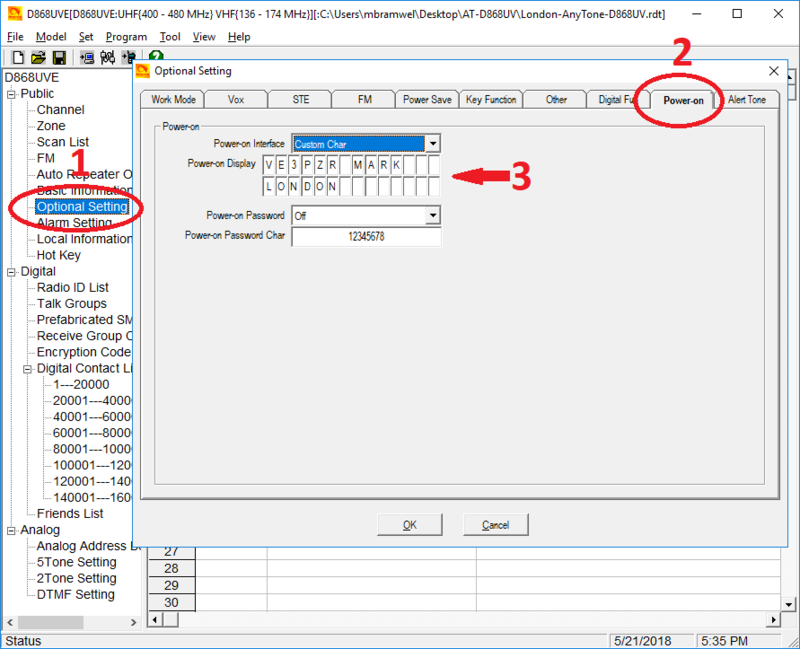 Do not expect to use dPMR radios on DMR repeaters.